Peter Deanovic is a founding principal at Buhl Investors, a real estate investment management firm based in Minneapolis with more than $500 million of investment expertise. Recent acquisitions and developments range from distressed debt, office, charter school, industrial, self-storage, hospitality and retail. As the lead investment manager, he oversees investment selection and execution across multiple property sectors. 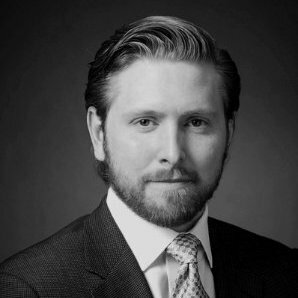 Prior to founding Buhl Investors in 2014, Deanovic was one of four investment managers at CarVal Investors, running the North American real estate strategy. During his nine-year tenure with the firm, he underwrote $2.7 billion of real estate opportunities and was responsible for 52% of the post-crisis deal origination. His responsibilities included developing, acquiring, managing and selling real estate assets throughout the United States. In addition to equity investments, Deanovic was been involved in investing in non-performing commercial and residential loan portfolios, the evaluation of the CarVal’s collateralized debt obligations, commercial mortgage-backed securities initiatives and investing in media publishing assets. Deanovic serves on the board of the Wisconsin Real Estate Alumni Association and has previously served on the boards of the National Association of Industrial and Office Properties and Young Ambassadors for Opportunity, an international microfinance organization. He is a regular speaker at Information Management Network’s Real Estate Private Equity conference in New York. Deanovic earned a bachelor’s degree in business administration in real estate and urban land economics from the University of Wisconsin-Madison School of Business.